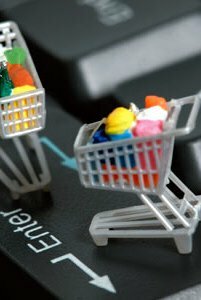 There comes a time in every 'bricks-and-mortar' business when it has to embrace the internet and set itself up online. No matter how established the business is and how much success it has enjoyed in the past, without a website and a clear online strategy, the future will simply be one of diminishing returns. But even with a 'professionally built website', many a business finds itself with a 'white elephant', an expensive website having cost many thousands of dollars to create and even more in maintenance yet very little to show in return. The website just 'does not deliver'! The sales are not pouring in as hoped! Chances are the business and its website is guilty of most if not all of the following 7 Mistakes Businesses Make When Starting Out Online. Badly Structured Websites - The site has NOT been designed to support the offline business. There is too much information on each page with little or no scope for customer engagement, essentially it's nothing more than an online brochure. The site is not giving the customer what they want. Bad Copy - The headline is bad or has no benefit to the customer and nothing about the front page states how you differentiate from your competitors. You don't show any online social authority, don't substantiate your claims with testimonials and have no clear 'call to action'. Not Having A Descriptive Domain Name - Unless your business name has brand recognition, people will search by product or service and your domain name needs to reflect that and NOT your business name. Poor Graphics, Formatting And Layout - Customers spend on average 5 - 10 seconds on a page and if they haven't got what they came for they leave. Subtleties in fonts, colours and size of graphics and images will make all the difference between a site that is cluttered, confusing and slow to load and read and one that is not. No Way To Buy - This may sound ridiculous but the site may not have an obvious way to buy online or the site does not use a secure payment gateway. Perhaps not offering a money back guarantee or simply not using the customers local currency is all it takes to loose the sale. Not Building A List - You don't have a way of collecting your visitors information or it's not prominent enough. Perhaps not a great enough incentive for them to opt-in or using a double opt-in could be the reason. You have a list but do not follow up on it or have no way of monetising the list. Poor Or No Marketing - Being stuck in the mind-set of 'build the website and the customers will flock to it' is a recipe for disaster. You are only using a couple of marketing methods or are not outsourcing your marketing? You are not testing, monitoring and fine tuning your website. Addressing these '7 Mistakes Bricks and Mortar Businesses Make when Starting Up Online' will go a long way to turning around an otherwise defunct website and can form the basis for developing any future online presence.